- Russell Brown, talking about how he thinks last year's Olympians might fare in this weekend's USA Champs. Neither Brown nor Matt Centrowitz are worried about not having the "A" as Brown says, "The ‘A’ standard really never crossed my mind this year. I think I or whoever else gets top three this year, they’re going to have no problem whatsoever.". Read our 1500 preview here. Agree or disagree: H. England on 1500: "In the 1500m you have the opportunity for just 1 defensive move and 1 offensive"
Contest Back Up Our apologies for it being down earlier Wednesday. LRC $20,013 USAs Prediction Contest Is Here Our contest is simple. Pick the top 3 in each running event. Don't know anything about the events? No problem. We have a guide for you. Only care about the distance events? No problem. Pick them perfectly and you could win $2,013. *Star Tribune: Minnesota Steeplechaser Jamie Cheever Aims For Spot In World Championships With Coburn injured, Cheever has the top seed after her big 22 second PR (9:29) at Stanford earlier this year. *Lisa Uhl Happy To Be Back Training And Racing In Native Iowa After Two Years In Oregon "Ever since I've been back, it's been really great for my attitude and my happiness," Uhl said. "I'm really excited to race at Drake." *USATF Comes Through! Live 10,000 Coverage USATF will provide 50 hours of streaming coverage on a new USATF.tv site, including race walking and field events. More USATF coverage below and in middle column. More: *Jenny Simpson Scratches 1,500, Running 5,000 Simpson has an automatic entry to World Champs in the 1,500 as the defending champion. *RW: Is Something Wrong With U.S. Milers? A Year After The US Gets It's First 1500 Olympic Medal In Years, No One Has The "A" Standard Quotes from Centrowitz and Russell Brown; neither of whom are worried about the "A". They know who whoever finishes top 3 will get it in Europe. 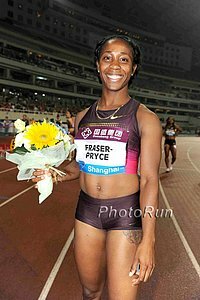 More: Sophomore Two Time NCAA Champion Ashley Spencer Resisting Calls To Turn Pro Early She is largely following the advice of Illinois coach Tonja Buford-Bailey who has said, "People who know the sport know that this is just wrong, what's happening with kids leaving school early." 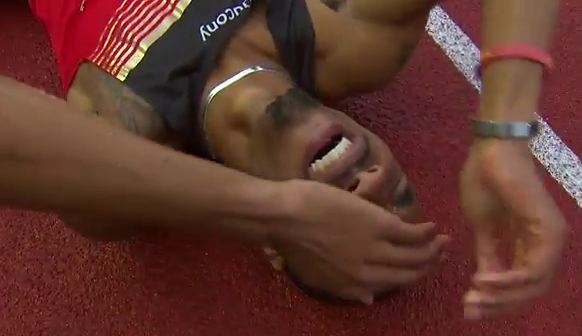 Tyson Gay Says He Wants To Triple Medal At The Moscow World Championships This Summer As He Did In 2007 With 3 Golds In 100, 200 & 4 X 100 He's says that he's been training so hard he let his hair and beard grow out, but he'll probably cut it for US Champs. 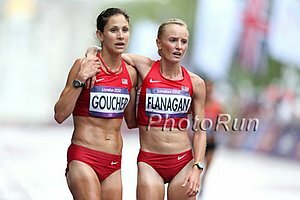 US Half Champs Are This Weekend: Kara Goucher Will Be In Duluth To Watch US Half Champs/Grandma's Marathon She says if she makes the team for Moscow, she'll race the NYC Marathon in the fall, but if not she'll do Chicago. Desiree Davila is racing US Half Champs and Mohamed Trafeh is in the men's race against Abdi and Meb. 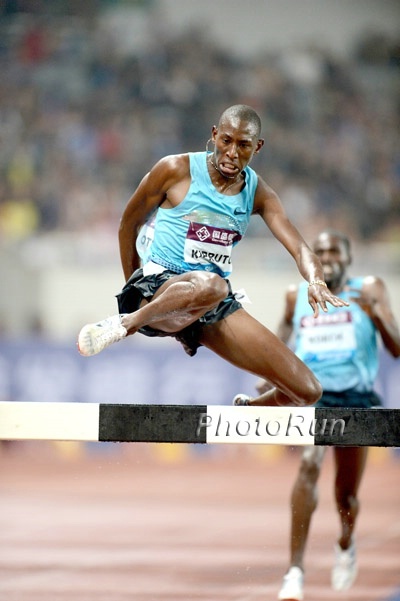 IAAF Issues Statement About VCB - People Need To Have Perspective, This Is A MINOR Offense Just what we told you. No one went crazy when Maggie Vessey tested positive for a diuretic and got off with a warning. Same for VCB. IAAG urges :a sense of perspective ... This seems from evidence to be a MINOR doping offence." VCB Apologizes "While not accepting guilt of willfully taking a banned substance." NY Times Guest Writer: IAAF Had Evidence Italian Gold Medal-Winning Race Walker Was On Drugs, Did Nothing To Prevent Him From Competing Not sure what they are saying as WADA busted this guy before the Games. Bad journalism? IAAF Denial: "The IAAF categorically refutes these claims in the strongest possible terms."